Seamless installation, that will stop water ingress and add longevity and strength to the structure. 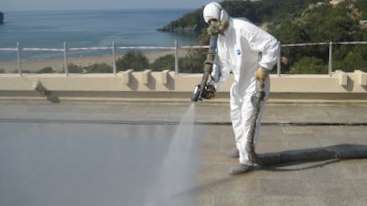 Polyurea, Polyurethane and Hybrids are applied to pre-prepared and primed surfaces with our state of the art Graco Reactors. Depending on the size of the project we can use either our smaller single phase reactors, our large volume three phase, self powered reactors or both. 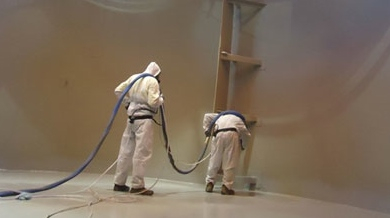 Polyurea spray elastomers offer outstanding advantages, such as a very good process-ability of the components of polyurea systems and excellent physical properties like chemical and weathering resistance of the elastomers derived from these components. By their elasticity polyurea elastomers readily bridge cracks in concrete and adhere superbly to a wide variety of surfaces. 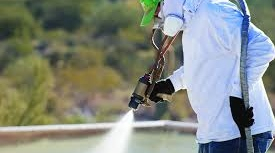 Formulations of pure Polyurea or Polyurea hybrids in close consultation with our customers, to provide solutions tailored to their individual needs. Moreover, other additives can be part of the curing system when specific properties are requested. Those can be pigments, flame retardants or processing auxiliaries as de-foaming. Reuse existing pavers for re-installation after completion of Polyurea application. 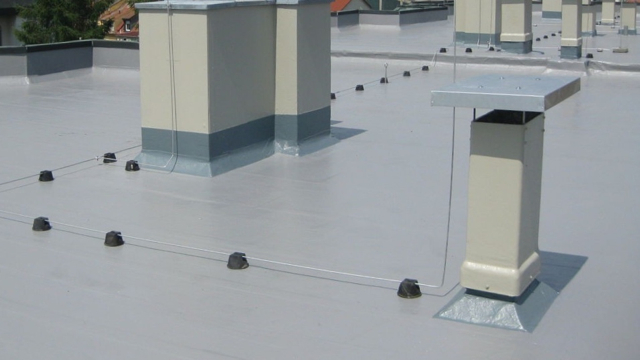 Seamless installation will cover parapet/slab joints as well as construction and expansion joints. Absolutely seamless installation, that will seal against water ingress and add longevity and strength to the structure. Contain or isolate any liquid from food grade to high acidity. Seamless installation provides quick turnaround times. Maintenance free peace of mind. 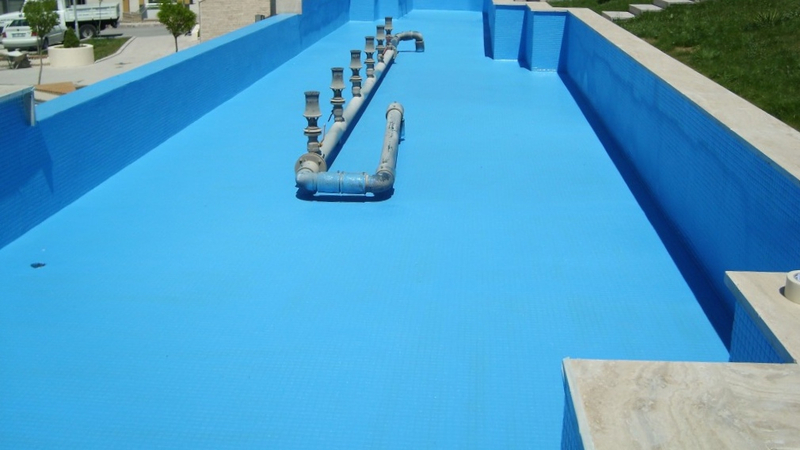 Seamless application of food grade polyurea lining that will contain water and protect the structure against harmful ingress for many years to come. Seamless installation from foundation to above ground level. Tack free in minutes and quick cure time allows for backfilling within 24 hours without the addition of protective sheets.